We’d love your help. Let us know what’s wrong with this preview of Him by Clare Empson. Catherine has become mute. She has witnessed something so disturbing that she simply can't speak - not to her husband, her children, or her friends. The doctors say the only way forward is to look into her past. Catherine needs to start with Him. L Big Little Lies meets 13 Reasons Why in this dark and suspenseful debut from a stunning new talent. To ask other readers questions about Him, please sign up. DNF for now, I might come back to it another day. Him is a story of obsession, love and guilt. It's dark and uncomfortable and a great debut from Clare Empson. Told through the two main characters, Catherine who is currently residing in a hospital in a state of elective mutism and Lucian, Catherine's first and only true love. Something horrific has happened to Catherine to cause her to shut down entirely, unable to communicate with her husband and 2 children and in order to help her she has to delve deep in to her past to find a way back to he Him is a story of obsession, love and guilt. It's dark and uncomfortable and a great debut from Clare Empson. Told through the two main characters, Catherine who is currently residing in a hospital in a state of elective mutism and Lucian, Catherine's first and only true love. Something horrific has happened to Catherine to cause her to shut down entirely, unable to communicate with her husband and 2 children and in order to help her she has to delve deep in to her past to find a way back to her family. Told through Catherine's point of view in the present and flashbacks 15 years ago when she first meet Lucian and then to 4 months prior to the trauma, HIM has an underlying theme of an all consuming passion and obsession between the two main characters. Throughout the book the reader is aware that something awful has happened but it isn't revealed until much later in the story. Uma palavra para descrever este livro: uau. Capítulos curtos que alteram entre passado e o presente. Nunca sabemos o que irá acontecer a seguir. Fala de vários temas como o amor, agressão (física e psicológica) e segredos. Of course with this comes an array of objectionable characters and their whims and fancies and a life far removed from reality, certain characters ( well portrayed ) got on my nerves!! This book will take you through a roller coaster of emotions and all the while, you’ll be desparate to know what happened to Catherine. The story is told during different time periods - four months before ‘it’ happened, from two points of view, fifteens years ago and now. We learn that Catherine is in hospital as she is unable to speak since ‘it’ happened. Her family and best friend visit her but nothing seems to help. We’re given an insight into Catherine’s thoughts and you really do feel for h This book will take you through a roller coaster of emotions and all the while, you’ll be desparate to know what happened to Catherine. We’re given an insight into Catherine’s thoughts and you really do feel for her and those around her. I’d love to tell you what happens but I won’t spoil it for you as you need to enjoy every chapter as the book steadily leads up to what happened. This is a gripping read and I highly recommend it if you enjoy mystery thrillers with a love story at its heart. I don't think the publishers are doing themselves any favours by packaging this as a kind of thriller - it's not: really it's a 'love gone wrong' story, that uses thriller-ish elements, not always particularly well. For example, we start with Catharine in hospital having decided not to speak (selective mutism) though the narrative is told by her so she's 'speaking' to us. Then we inevitably start flipping around in time: 15 years ago when she was at university, 4 months before; then we have anot I don't think the publishers are doing themselves any favours by packaging this as a kind of thriller - it's not: really it's a 'love gone wrong' story, that uses thriller-ish elements, not always particularly well. For example, we start with Catharine in hospital having decided not to speak (selective mutism) though the narrative is told by her so she's 'speaking' to us. Then we inevitably start flipping around in time: 15 years ago when she was at university, 4 months before; then we have another narrator chime in, also flipping back and forth in time - it's all just so tired now with practically every piece of commercial fiction following the same fractured narrative structure. I also have a problem with stories where everything has already happened in the past, all the characters know what's gone on and the only tension is the artificial one of withholding the past from us - too annoying. Hardly anything happens in the present storyline at all. It's a pity as there is something interesting at the centre of all the (melo)dramatics: questions of female shame and undeserved guilt could have been explored with more emotional intelligence - instead they get subsumed beneath a narrative that seems to be trying too hard to pull off twists and thrills. Disappointing. Fifteen years ago, Catherine met the dashing Lucian at university. Theirs wa This didn’t quite turn out the way I thought it would. I was expecting a psychological thriller and while it does have some of the elements of that genre and a bit of a mystery to solve, at its core Him is a love story gone badly, oh so badly, wrong. É um thriller descomplicado, que vive em torno de um grupo de amigos e passado em três tempos distintos. Há quinze anos iremos conhecer Lucian e Catherine, dois jovens a chegar aos 20 anos, e imensamente apaixonados. Catherine nie mówi. Cierpi na mutyzm, ma za sobą traumatyczne wydarzenie, które ściśle wiąże się z jej wielką, nieszczęśliwą miłością do Luciana. COŚ zdarzyło się w przeszłości i to coś pociągnęło za sobą kolejne wydarzenia (tym razem w teraźniejszości), które wywołały u Catherine tak ogromny szok, że przestała komunikować się ze swoimi najbliższymi. Chylę czoła przed Clare Empson (to jej debiut! ), gdyż napisała bardzo dojrzałą, doskonałą pod względem literackim, przejmująco smutną powieść, którą Catherine nie mówi. Cierpi na mutyzm, ma za sobą traumatyczne wydarzenie, które ściśle wiąże się z jej wielką, nieszczęśliwą miłością do Luciana. COŚ zdarzyło się w przeszłości i to coś pociągnęło za sobą kolejne wydarzenia (tym razem w teraźniejszości), które wywołały u Catherine tak ogromny szok, że przestała komunikować się ze swoimi najbliższymi. Chylę czoła przed Clare Empson (to jej debiut! ), gdyż napisała bardzo dojrzałą, doskonałą pod względem literackim, przejmująco smutną powieść, którą - mimo, że akcja nie pędzi tutaj na łeb, na szyję - czyta się z wielkim zaciekawieniem. Podczas lektury każdej z tych 400 stron, czytelnik koniecznie chce się dowiedzieć, co przydarzyło się bohaterce i czy jej związek z bogatym, uprzywilejowanym facetem - miłością jej życia, naprawdę nie ma szans na kontynuację. Już w pierwszych rozdziałach odgadłam, jakie wydarzenie mogło wpłynąć na nagłe zakończenie obiecującej relacji na linii Catherine - Lucian. Rozwiązanie wszystkich wątków było jednak zaskakujące i nieoczywiste. Za to ogromny plus! Este livro foi uma verdadeira surpresa boa para mim! Gostei mesmo! Mais uma estreia a nível de autores. Nunca tinha lido nada de Clare Empson e tenho de dizer que fiquei agradavelmente surpresa. Quem pensar que este é um livro de um policial ou thriller, engana-se. Eu, quando li a sinopse, tenho de admitir que pensava que se tratava de um assassinato ou algo do género, no entanto, este livro traz-nos a história de (des)amor de Catherine e Lucian. Duas pessoas que se encontram numa certa altura da vida e que, por motivos alheios às suas vontades, são separados p Mais uma estreia a nível de autores. 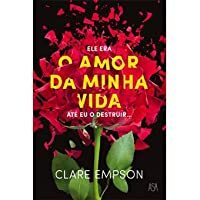 Nunca tinha lido nada de Clare Empson e tenho de dizer que fiquei agradavelmente surpresa. Quem pensar que este é um livro de um policial ou thriller, engana-se. Eu, quando li a sinopse, tenho de admitir que pensava que se tratava de um assassinato ou algo do género, no entanto, este livro traz-nos a história de (des)amor de Catherine e Lucian. Duas pessoas que se encontram numa certa altura da vida e que, por motivos alheios às suas vontades, são separados pouco depois de iniciarem aquele que poderia ter sido o único e verdadeiro amor tanto de um, como do outro. Ora, este livro tem uma composição que me agrada muito. A alternância com o passado e o presente tanto de Catherine como de Lucian, cada um na sua vez, dando-nos sempre a perspectiva de todas as personagens importantes. No momento presente, Catherine encontra-se internada e em terapia porque simplesmente deixou de comunicar, seja de que maneira for, com o marido,os filhos, os amigos e parece estar num estado catatónico, mas consciente. Ninguém sabe que ela os consegue ouvir, uma vez que ela não responde nem mostra sinais de que está a ouvir ou a perceber o que se passa à sua volta. This is a thoughtful character-drawn book, a tragic tale of love, obsession and guilt. My only problem with it was it's one of those books that's packaged as a psychological thriller and it just isn't. But once you push that expectation aside, the writing is good, fluid and intelligent, with a protagonist I mostly liked. Something so horrible has happened that Catherine has stopped talking. The story then goes back to the past. Catherine and Lucien fall in love. Something happens that makes her a This is a thoughtful character-drawn book, a tragic tale of love, obsession and guilt. My only problem with it was it's one of those books that's packaged as a psychological thriller and it just isn't. But once you push that expectation aside, the writing is good, fluid and intelligent, with a protagonist I mostly liked. Something so horrible has happened that Catherine has stopped talking. The story then goes back to the past. Catherine and Lucien fall in love. Something happens that makes her abruptly leave him. She marries someone else. Years later she tells Lucien what happened to make her leave all those years ago. Then something happens that causes her to become mute, disassociating from everything. 2.5 stars ..... I ended up being quite disappointed with this book. I’m not sure what it was trying to be ....a love story ,thriller or an observation on the troubles of the young and rich . Felt little empathy for the main character . Repetitive and I’m not sure why the author chose 4 months & 15 years as the flash back time frames. Quando comecei a ler, pensei tratar-se de um thriller, mas não é. Ainda bem que fui ao engano, porque sendo um drama não me iria sentir tentada a pegar-lhe e acabou por se tornar uma leitura agradável. A forma como está escrito, contada entre o passado e o presente, manteve sempre o meu interesse. Theakstons proof 5 was this one and I loved it for its considered engaging characters, the beautifully done past/present vibe and it's strong emotional core. A love story with a dark dark heart. This is an astonishing debut. Character driven, intense and profoundly moving. Catherine is suffering from Elective Mutism - unable to speak, she tells us her story through her memories. Memories of a time fifteen years before when she first meets Lucian and they enter into a relationship that is all-consuming. With breathtaking prose and more than a hint of nostalgia Catherine’s recollections show us exactly what Lucian means to her and the impact this has on th Intense & profoundly moving. Catherine is suffering from Elective Mutism - unable to speak, she tells us her story through her memories. Memories of a time fifteen years before when she first meets Lucian and they enter into a relationship that is all-consuming. With breathtaking prose and more than a hint of nostalgia Catherine’s recollections show us exactly what Lucian means to her and the impact this has on the very essence of who she is. As the story unfolds Lucian is given his own voice and fascinatingly the narrative shifts between the two, flitting backwards and forwards in time, past, present and four months before. Every word, every sentence, captures the intensity of the love they have for each other. As we view events from two perspectives the tension builds as we realise that there is only one truth - a truth so shockingly awful that it has stolen Catherine’s voice. 'Him' takes place over 15 years in the lives of a group of people bound by class, social standards and expectations-they all move in a stratosphere which I found hard to keep up with. However, their privilege, entitlement and self regard did not protect them from loss and harm done. 15 years ago,Lucian blew into the life of Catherine, beginning a torrid and frantic love affair based on mutual sexual attraction and desire. Something happened which made Catherine run away rather than explain it to 'Him' takes place over 15 years in the lives of a group of people bound by class, social standards and expectations-they all move in a stratosphere which I found hard to keep up with. However, their privilege, entitlement and self regard did not protect them from loss and harm done. 15 years ago,Lucian blew into the life of Catherine, beginning a torrid and frantic love affair based on mutual sexual attraction and desire. Something happened which made Catherine run away rather than explain it to Lucian(post traumatic stress) and marry the 'safe' man, Sam, have 2 children with him whilst pouring over love letters for the next 13 years and low key stalking Lucian's prescence in the media. He never marries, but lives a Gatsby-esque existence with clingers on galore as without them , the hollow, empty life he lives would be even more meaningless. He props up best friend Jack in every way possible, supports Rachel through her various attempts at rehab and draws pictures of Catherine. Then something brings the 2 lovers back together, they have a fling with horrific consequences and part AGAIN. Both go back to their patterns of ignoring each other/pining over each other until a cataclysmic event which drives Catherine into being selectively mute. The story is split between now (mute Catherine),15 years ago (Catherine and Lucian) and 4 months before (Catherine and Lucian).This made it a little confusing for this reader to navigate. The toxic and deadly relationship into which Catherine and Lucian drag innocent and not so innocent bystanders is really well expressed-you cannot choose who you fall in love with and real life is eventually bound to get in the way. What happened to Catherine is slowly revealed and is truly traumatic and horrific. This again was written with sensitivity and skill so that the reader really appreciates the trauma she has been through. Otherwise Catherine would be seen as a selfish, wanton woman who marries on the rebound and puts her poor husband through 13 years of him loving her, but her pining for Lucian. 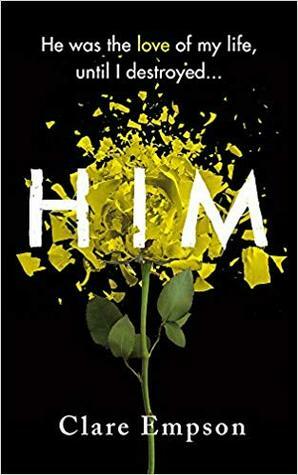 In 'Him', Clare Empsom brilliantly portrays a woman who has been traumatised by death and loss, to the point where her only recourse was to lose the words to say what happened to her. When I first saw the blurb for Him, I was reminded of The Silent Patient but let me tell you now that the silence of its main protagonists is the only thing those two books have in common! Both are brilliant books but in very different ways. Him is an all consuming and heartbreaking story with a mystery at its heart. Why is the beautiful Catherine mute? What could have happened to cause such an extreme reaction and will her doctors ever be able to cure her? We watch her husband and two children c When I first saw the blurb for Him, I was reminded of The Silent Patient but let me tell you now that the silence of its main protagonists is the only thing those two books have in common! Both are brilliant books but in very different ways. Him is an all consuming and heartbreaking story with a mystery at its heart. Why is the beautiful Catherine mute? What could have happened to cause such an extreme reaction and will her doctors ever be able to cure her? We watch her husband and two children come to visit as she recuperates from a trauma so terrible she has withdrawn completely from them and everything around her. And as the narrative then goes back to two different timelines (one 15 years previously and one just four months before her traumatic event) we are introduced to a very different Catherine. When she was at university she met Lucian the love of her life until something terrible happened and she left him to go back to dependable Sam who she later marries. This is a wonderful debut novel from Clare Empson. It’s a very dark love story with themes of obsession, forgiveness and jealousy. The characters involved throughout weren’t always likeable but they were always expertly drawn with believable relationships forming between them as they developed. I found myself completely overwhelmed by the feelings of impending doom that threatened to destroy the happiness of certain people and those feelings morphed into a sense of personal loss once the book ended. Talvez tenha pegado neste livro com demasiadas expectativas, talvez tenha achado que seria um bom thriller, a verdade é que no fim não consegui perceber se tinha acabado de ler um thriller, um romance ou um drama..pareceu-me uma mistura dos três géneros que na minha opinião acabou por não resultar bem. A premissa pareceu-me boa mas acabou por não se concretizar, a certo ponto torna-se numa narrativa lenta e repetitiva acabando por dar a impressão de andar em círculos e pouco ou nada avançar. Without a doubt my favourite read of the year so far. This book was incredible, I read it months ago now and have put off reviewing it because it’s impossible to put into words what I thought of it. In the present day Catherine has elective mutism, something traumatic has happened to her and now she can’t speak. It’s heart-breaking knowing the pain she’s in, and the struggle she’s having while knowing she can’t articulate what she’s thinking. In the past, fifteen years previously we slowly get to see Catherine and Lucien’s story. Lucien is from a d This book was incredible, I read it months ago now and have put off reviewing it because it’s impossible to put into words what I thought of it. In the present day Catherine has elective mutism, something traumatic has happened to her and now she can’t speak. It’s heart-breaking knowing the pain she’s in, and the struggle she’s having while knowing she can’t articulate what she’s thinking. In the past, fifteen years previously we slowly get to see Catherine and Lucien’s story. Lucien is from a different walk of life to Catherine and spends his time with his friends being rather unlikeable. Catherine and Lucien had a passionate and fiery relationship. The book flicks between the past and the present and we see Catherine and Lucien’s perspectives. Gradually we begin to see why these two fell for each other and a sense of unease begins to build as to why Catherine has ended up unable to speak. The end when it comes is a shock and left me breathless. This is one of those books that is impossible to do justice to but it’s beautifully written, compelling and just brilliant. I highly recommend this on. I’m already looking forward to whatever Clare Empson writes next! The previous reviews had me doubting that I would enjoy this book. I do agree that it shouldn't be marketed as a thriller, it is more of a romantic suspense – ultimately, a love story. The other reviews saying it is confusing are, in my opinion, harsh. It does go back and forward in time but that is the nature of a plot! If the story was told in a linear way it wouldn't be a page-turner, which it most definitely is. I thought the characterisation was great, there was an element of social comment The previous reviews had me doubting that I would enjoy this book. I do agree that it shouldn't be marketed as a thriller, it is more of a romantic suspense – ultimately, a love story. The other reviews saying it is confusing are, in my opinion, harsh. It does go back and forward in time but that is the nature of a plot! If the story was told in a linear way it wouldn't be a page-turner, which it most definitely is. I thought the characterisation was great, there was an element of social commentary and themes of grief and addiction. Catherine has been so traumatised that she has become mute. She was really frustrating as a main character but that only emphasised the plight of her family who were waiting for her to speak to them. To the casual onlooker, Catherine would seem to have it all - an adoring husband, two beautiful children and an idyllic country cottage in Somerset. However, something has caused her to become an elective mute, something so traumatic that she has become dissociated from everything around her as she retreats into the memories of her past with Lucian. The book alternates between the present, four months ago and fifteen months earlier, with the chapters detailing what happened in the recent past als To the casual onlooker, Catherine would seem to have it all - an adoring husband, two beautiful children and an idyllic country cottage in Somerset. However, something has caused her to become an elective mute, something so traumatic that she has become dissociated from everything around her as she retreats into the memories of her past with Lucian. The book alternates between the present, four months ago and fifteen months earlier, with the chapters detailing what happened in the recent past also switching between the points of view of Catherine and Lucian. I always enjoy novels with convoluted plot-lines and had no trouble following the various timelines and perspectives which all felt distinct from one another. At first, the Catherine we are introduced to are in hospital seems cold, seemingly choosing not to communicate with her family and friends as she relives the story of her and Lucian. They met fifteen years ago at university and fell deeply and passionately in love with one another. She is away from home for the first time and as the adored only child of two loving parents she is still naive, uncomplicated and optimistic. Lucian is rich, entitled and urbane but despite being from very different worlds, they understand each other and form what would seem to be an all-consuming relationship. However, just as their happiness seems assured, Catherine ends it suddenly, without any sort of an explanation and though both move on with their lives, the fire of their love is never truly extinguished. The chapters set four months ago first show Catherine's life with her family after their recent move to the country (and as I live in Dorset, I did enjoy seeing some familiar place names) and it appears blissful but not all is as it seems. She and Lucian are reunited and it is these scenes which are the most illuminating, allowing us to see how the preceding years have shaped both Catherine and Lucian before events eventually lead to her current day predicament. When they meet again it is immediately apparent that they are still irrevocably drawn to one another and yet there is always an undercurrent of doubt to their reconciliation. Throughout the book there are little hints as to what caused Catherine to leave him so suddenly and I suspect many readers will guess the truth before she realises it herself. As the novel progresses, the ominous feeling that their tentative joy will be short-lived becomes almost overwhelming as something must cause her to withdraw from life. The short chapters and frequent timeline changes meant I raced through the book, completely invested in every stage of their relationship and desperate to discover what momentous event causes her to snap out of life. Although the complicated relationship between Catherine and Lucian forms the main focus of Him, there is also a fascinating exploration of the juxtaposition between Lucian's tightly-knit group of privileged companions and those who enter their circle but are destined to always remain outsiders. The lives of the immensely wealthy friends brought to mind The Great Gatsby and Vile Bodies - the impressive mansions and decadent parties are ultimately just a veneer as the the struggles and dark secrets of these bright young things eventually prove to be inescapable. This is an intricate tale of a love affair so obsessive that it is not only Catherine and Lucian whose lives have been defined by it - others become caught in their slipstream, unable to tear themselves away from one or both of them. They cause deep hurt to those around them but despite their flaws, I couldn't help but be drawn to them, their burning passion irresistible even to readers, it would seem. Throughout the book there is an almost oppressive sense of foreboding but even so, the eventual disclosure of the truth proves to be devastating. I was a little bit confused at the start of this book if I'm honest, told over multiple timelines it took me a little while to get the hang of this book. We're told the story by two characters, Catherine and Lucian and it's told in the present, 4 months ago and 15 years ago and it took a little bit of getting used to but once I got into it, I was totally hooked.Catherine has suffered a great trauma, what that trauma is, we don't find out until the end but it has caused selective mutism. Part of I was a little bit confused at the start of this book if I'm honest, told over multiple timelines it took me a little while to get the hang of this book. We're told the story by two characters, Catherine and Lucian and it's told in the present, 4 months ago and 15 years ago and it took a little bit of getting used to but once I got into it, I was totally hooked. Catherine has suffered a great trauma, what that trauma is, we don't find out until the end but it has caused selective mutism. Part of her recovery is to go back in time, to start at the beginning and this is where she tells us her story starting 15 years ago. HIM is a very complex story, it's ultimately a love story, a dark love story and it's a story that totally and utterly absorbs you. I knew something terrible must have happened to cause Catherine to retreat into herself, she has a husband, a family that need her yet she is unable to communicate with them and this I found to be quite shocking yet fascinating. Catherine is married to Sam, dependable Sam, he loves Catherine deeply and Catherine loves him but not as much as her first true love Lucian. And it's over the course of the book we find out why Catherine and Lucian aren't together, why Catherine and Sam are married and what caused things to go the way they did. I'll give you a word of warning before you pick up this book, make sure you have time to read it. This isn't a book you can easily pick up and put down again, it totally absorbed me and I couldn't put it down. It's shocking and sad, it's complex and cleverly written. It's a story about obsessive love, guilt, secrets, lies and regrets. It's twisty, suspenseful and utterly compelling and I was shocked to realise after I'd read it that it's a debut novel. It's left me quite excited to see what the author comes up with next. This proof arrived care of Orion - to whom very many thanks - yesterday morning, and had me filling and re-filling my bubble-bath with hot water as I raced through it, candles lit, glass of wine on the side: a real Saturday afternoon indulgence. I'm not going to bore you with a plot summary, as there's one of those up above, but I loved the way it juxtaposed memories of university with the more recent past and the present day: a master-class in how to build and maintain suspense which reminded m This proof arrived care of Orion - to whom very many thanks - yesterday morning, and had me filling and re-filling my bubble-bath with hot water as I raced through it, candles lit, glass of wine on the side: a real Saturday afternoon indulgence. I'm not going to bore you with a plot summary, as there's one of those up above, but I loved the way it juxtaposed memories of university with the more recent past and the present day: a master-class in how to build and maintain suspense which reminded me a little of TK Richmond's WHAT SHE LEFT and Jane Shemilt's DAUGHTER. So many contemporary novels are all about the opening - and Empson's is skilful, tender, intriguing - but what will stay with me most about HIM is the ending, which not only steers well clear of the expected but which also redefines 'poignant.' No spoilers here but there were overtones of Casablanca and also Edith Wharton's The Age of Innocence in terms of the way things fall out for the characters we have followed so closely. For a novel which focuses largely on the lives of the privileged, the ending of the story not only took my breath away but really left me thinking. I will return to that last sentence many times, in the same way I love to read the last page of Elizabeth Jane Howard's THE LONG VIEW, and this is because it touches on something which is I suspect so central to all of our thinking as we grow older - how might it have ended? How would we do it if we could actually bend time and start over? With a romance at its heart, this mesmeric book is a window into the world of the uber-wealthy. Centring around a circle of mostly rich friends, it has echoes of Donna Tartt’s Secret History - think stately homes, butlers and a cast of flawed characters. In the present day, Catherine is a traumatised mute, and the book flashes between scenes in the past to help us make sense of what has happened to her. It is a tense and taut experience, and all the narrative threads are tidily and most satisfyi With a romance at its heart, this mesmeric book is a window into the world of the uber-wealthy. Centring around a circle of mostly rich friends, it has echoes of Donna Tartt’s Secret History - think stately homes, butlers and a cast of flawed characters. In the present day, Catherine is a traumatised mute, and the book flashes between scenes in the past to help us make sense of what has happened to her. It is a tense and taut experience, and all the narrative threads are tidily and most satisfyingly sewn up at the end. What beautiful writing too.